The Chancel Choir’s 15 – 20 members are directed by Jeremy Davis and accompanied by Lori Schultz. 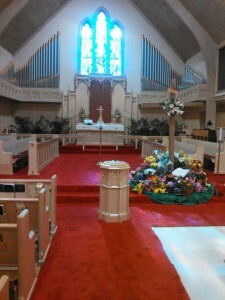 The Chancel Choir provides worship music at 20 services per year, plus Easter, Thanksgiving, and Christmas. The membership enjoys working hard to praise the Lord in song. 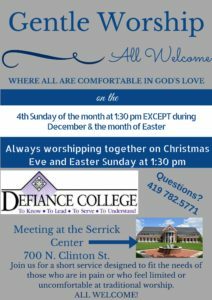 We welcome anyone who would like to add his or her voice in worship with us. The Chancel Choir meets nearly every Wednesday between Labor Day and Memorial Day from 7:00pm to 8:00pm.